En poco tiempo, estos deportes se han vuelto vitales en nuestro procedimiento de ingreso diario. Entonces, pudimos crear listas de llamadas basadas principalmente en cómo un toque seleccionado interactuaba con el correo electrónico abierto, clic, etc. MassMailer junto con SendGrid nos dio ese equipo, a un costo totalmente razonable en comparación con otras opciones disponibles. a solo unos pocos clics del envío de un correo electrónico a la mayor cantidad de contactos o clientes potenciales de Salesforce que deseaba. Además, los comentarios que recibimos de nuestros clientes sobre la facilidad de uso son brillantes. Anteriormente tuvimos un problema con la capacidad de "Guardar como" plantillas modificadas, pero cambiamos a resuelto con la ayuda de operar con el equipo de asistencia como una empresa de mejora. La configuración es un complejo de trozos. Sin embargo, es por eso que la increíble ayuda técnica entra en juego, no puede tener más de 9 elementos en la lógica del filtro o no se mostrará nada, los campos no están en orden alfabético, por lo que pueden estar en orden. la realidad es difícil de descubrir, y así sucesivamente. Dicho todo, MassMailer le brinda lo que promete. Lo usamos para muchos paquetes en la empresa comercial, campañas de compra, ingresos, publicidad y campañas de marketing y mensajes internos. Fuimos capaces de hacer que nuestro enfoque de correo electrónico masivo sea mucho más efectivo y ecológico. Es un dispositivo fácil de comprar más allá del límite diario de correo electrónico de Salesforce. Enviamos el mismo correo electrónico a todos los clientes de todos los sectores para recordarles que envíen en finanzas Somos capaces de enviar correos electrónicos masivos a nuestros clientes. "Great Experience Working with Mansa Systems & MassMailer"
MassMailer is a great program that has allowed our company to increase revenues by 30-40% since starting working with the program. It allows for us to carefully segment our candidates and clients for effortless mass e-mail campaigns. The program also provides great data and the company is very quick to resolve any issues! There isn't much to dislike about this program. All of our users, from ages 22 to 63 are able to easily use this program. When we have a technical issue, we are able to get the issue resolved in the same day with a simple call or e-mail. We have been able to make our mass e-mail strategy a lot more effective and efficient. Our company sends outs about 120,000 e-mails per week for marketing purposes and we do so in very little time, leaving more time for us to work directly with our clients. As I said earlier, the impact over the past 2 years has had a HUGE impact on our revenues. "Great tool for simple email marketing and getting past Salesforce imposed daily send limit." Support was excellent. Once setup I was just a few clicks away from sending an email out to as many Salesforce contacts or leads that I wanted to. There was no longer any 500/day limit. With Mass Mailer you were able to see important statistics about a campaign email, such as soft bounces, hard bounces, sends, receives, opens, clicks, etc. Setup is a bit tricky. However, that is where the excellent tech support comes into play. Also, if you are looking for a sophisticated email marketing too, Mass Mailer is not your answer. This is not a sophisticated email marketing tool. It is a simple tool for getting past the Salesforce daily email send limit. That being said, it can be used for some simple email marketing, and is a great way to get your feet wet without spending a lot of money. Definitely take advantage of the great tech support to help with setup. I needed a way to do simple mass mailing to Salesforce contacts, bypassing the 500/day email send limit imposed by Salesforce. I also needed a tool that would provide me with some basic email marketing until my company was ready to take the plunge with a more sophisticated tool, such as Pardot. Mass Mailer met all expectations. "Great product for Mass Emails"
With 300k contacts, we were searching for ways to reach such a vast audience in regular intervals, while having the ability to gather metrics and adjust our campaigns as necessary. MassMailer (along with SendGrid) gave us those tools, at a very reasonable price compared to other options out there. We were able to easily train our reps to send their own blasts, and collect the metrics. We were then able to create call lists based on how a particular contact interacted with the email (open, click, etc.). Before long, these activities became critical in our daily sales process. Set-up is quite involved, but their support is a great resource. Also requires a separate (albeit affordable) subscription to SendGrid. Reaching our 300k+ contacts on a regular basis, and being in touch in a timely manner afterwards. We were able to set up call lists to reach those contacts that opened and/or clicked in our emails, which were ideal leads. "Made the most of SalesForce"
MassMailer overcomes a lot of SalesForce's inherent limitations. Crucially, it was a simple fix to dealing with the daily email count limits that prevent SalesForce from being a true CRM (which SalesForce rarely mentions). It also allowed us access to other features such as sending mailings on behalf of other staff. Once setup, the functionality was straightforward from selecting population filters to customizing a template and sending test emails. It was exactly the solution we needed. There's not much to dislike that MassMailer is responsible for. Installing apps on SalesForce is not easy, but MassMailer provided good instructions. The templates in MassMailer can look slightly different than how they are produced in SalesForce, but that is more an issue of using proper HTML, not a problem with MassMailer itself. All said, MassMailer delivers on what it promises. MassMailer has been a good tool for us. Their customer service, which was only needed once during installation, was prompt and thorough. They have good documentation, and the product has not failed to date - a notable achievement through SalesForce upgrades. We adopted SalesForce as a CRM tool, but we weren't aware of its email limitations. MassMailer was crucial in overcoming those issues. As a result, we've been able to use SalesForce in the way we intended. Without MassMailer, we would have had to search for a different solution altogether. "MasMailer Working Well for us"
The product just works, no hassles, it just allows us to get our stock lists out. nothing really, if anything reporting as I would like some more in depth reports. We use massMailer to send stock information on hardwood lumber and hardwood flooring to buyers around the world on a weekly basis. Then we report from the MassMailer data back to our salespeople who all opened the stock listing in the last 24 hours. It has proven to be a great tool to keep customers informed of what is ready for sale and prompt employees to follow up with those showing an interest. I like that I can send a mass message but personalize it to the client that I am reaching out too. The app isn't always user friendly so you have to be careful with what emails you set up. We send the same email to all the clients every quarter to remind them to send in financials. This app lets us do that. "Self Propelled Marketing for Agents At Their Fingertips"
As our company's Salesforce admin, I personally like how responsive the support team is when we need it. Additionally, the feedback we receive from our customers on ease of use is amazing. Previously we had a limitation on the ability to "Save As" modified templates, but was resolved by working with the support team as an enhancement project. We use ExactTarget/Marketing Cloud for our company mass email sends, but Mass Mailer allows our users to be self sufficient and independent in sending their own personal marketing, which in the world of Real Estate is huge for their business. "Works great! Support is stellar!" Integration to SalesForce is seamless. The app is very easy to use, and Mansa Systems offers great support. Setup was rather complex, but the support team helped with the integration. Definitely worth looking into if you are using the proprietary Mass Mail system from SalesForce. The ability to hook into a third party mail system through the Mass Mailer API has been very beneficial for our organization. We are seeing increased deliverability, with more control on the backend. 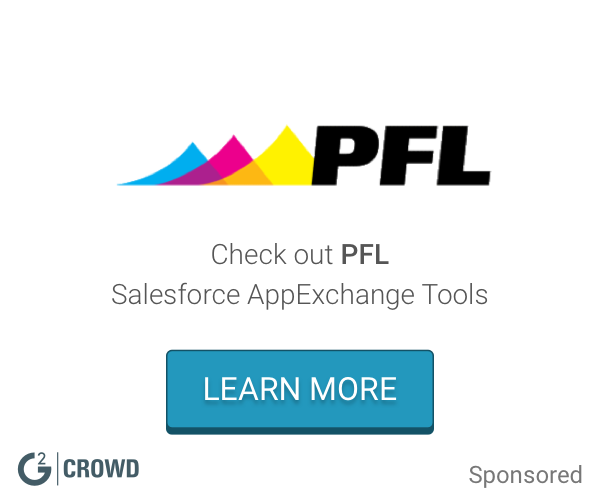 "Good app at a GREAT price point"
The ease of use and integration with my Salesforce org. What I most dislike is the support timezone difference. "A great resource for emailing directly from Sales Force"
Ease of use. Very similar to actual Mass Email feature from SalesForce. The customer service availability. Limited times to get a live person on the phone. Make sure to have all your questions answered during set up. Changing system around can be complicated after setup if you're not familiar with MassMailer. The main benefit from MassMailer is being able to send thousands of emails directly from SalesForce. It integrates with Salesforce and logs activity when an email is sent. If there are duplicates, it will send multiple emails, instead of just one. There were a few times, where updates were made to the app, and I wasn't notified, and I had to troubleshoot why it wasn't working correctly. You have to use a third party to integrate with SF. We are able to send mass emails to our customers. "Great value at an amazing price that's easy to implement and manage"
It's easy to setup, easy to manage and can be handed off to teams within the organization without IT intervention. It's also inexpensive and you have real insight into what your spending. I'm always looking for a vendor to do more, would like to see more features, integrations and management tools. We use it for many applications within the business, customer outreach, sales and marketing campaigns and internal messaging. * We monitor all MassMailer reviews to prevent fraudulent reviews and keep review quality high. We do not post reviews by company employees or direct competitors. Validated reviews require the user to submit a screenshot of the product containing their user ID, in order to verify a user is an actual user of the product. Hi there! 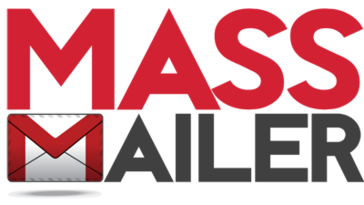 Are you looking to implement a solution like MassMailer?